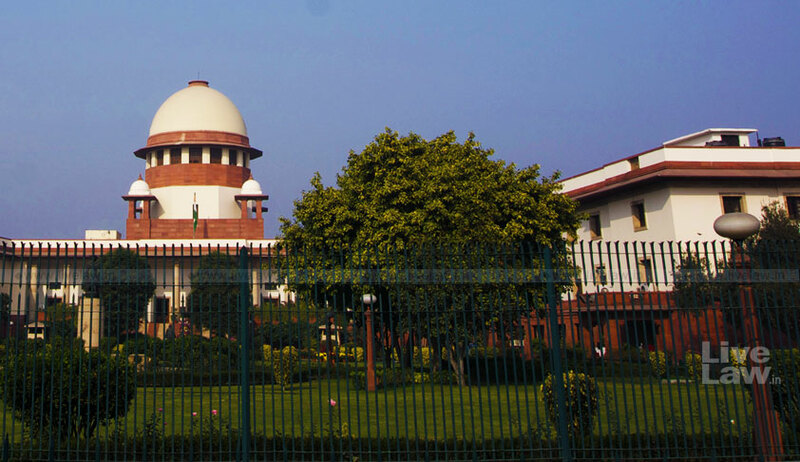 Five months after the Supreme Court judgment in Hadiya Case, another inter-faith marriage has made its way to the Apex Court, with a Muslim man alleging disregard of the law laid down in Shafin Jahan v. Asokan K.M. and others by the Chattisgarh High Court. The petition, filed by one Mohd. Ibrahim Siddiqui challenges a judgment passed by the High Court on 30 July, when the High Court had refused to allow his plea for reuniting him with a 23-year-old girl, Anjali Jain, who he claimed to have married at the Arya Samaj Temple after Ibrahim adopted Hinduism. He has also submitted his marriage certificate to support his submissions. In the impugned order, the High Court bench comprising Chief Justice Ajay Kumar Tripathi and Justice Prashant Kumar Mishra had refused to comment on the validity of the marriage, leaving the question open. It had, however, noted that while Anjali had denied being illegally detained by her parents, she did admit that her parents had “serious reservations” against her marriage with Ibrahim. It had then opined that Anjali needed to be given “certain breathing space and time” to make up her mind, while asserting that it cannot direct her to be reunited with Ibrahim because that would involve recognising her status as Ibrahim’s legally wedded wife. The Court had thereafter allowed Anjali to either go with her parents or stay in a hostel in Bilaspur. During her stay in the hostel, Ibrahim, as well as her parents, were allowed to visit her between 3:30 pm to 5:30 pm thrice a week i.e. on Monday, Wednesday and Saturday, with the permission of the hostel warden. Ibrahim has now challenged this order as being erroneous, asserting that the only relevant factor to be considered while deciding a habeas corpus petition dealing with the issue of private custody of an adult girl is the independent choice of the girl. In his petition, filed through Advocate TVS Raghavendra Sreyas, he further alleges that the High Court had erred in not following the law laid down in Hadiya case, submitting, “…the Hon’ble High Court erred in not following the law laid down by this Hon’ble Court in Shafin Jahan and Others v. Asokan K.M. and Others, 2018 (5) SCALE 422, whereby this Hon’ble Court has clearly laid down that the role of Court in dealing with a Habeas Corpus petition is to see that the detenue is produced before it, find out about his/her independent choice and see to it that the person is released from illegal restraint. Furthermore, Ibrahim has alleged that he has been threatened by Anjali’s family members as well as “notorious religious elements of the society who are now seeking to create a religious issue out of the Petitioner’s marriage”. Whether the Hon’ble High Court failed to safeguard the right to liberty of the detenue Anjali Jain guaranteed to her under Article 21 of the Constitution of India? Whether the only relevant factor to be considered while deciding a Habeas Corpus petition dealing with the issue of private custody of an adult girl by her parents is the independent choice of the girl / detenue? Whether the Hon’ble High Court erred in not following the law laid down by this Hon’ble Court in Shafin Jahan and Others v. Asokan K.M. and Others, 2018 (5) SCALE 422, whereby this Hon’ble Court has clearly laid down the role of Court in dealing with a Habeas Corpus petition? Whether the Hon’ble High Court erred in not allowing the detenue Anjali Jain to be released to the Petitioner as per her wish expressed in open Court on 30th July 2018 during the hearing of the Writ Petition? Whether while deciding a Habeas Corpus petition dealing with the issue of private custody of a girl by her parents, the High Court could have taken into consideration the wishes of the girl’s parents? Whether while deciding a Habeas Corpus petition filed by a husband for custody of his wife forcibly detained by her parents, the High Court could have expressed doubts about the legality of the marriage in view of the express admission by the girl / wife about the factum of marriage?